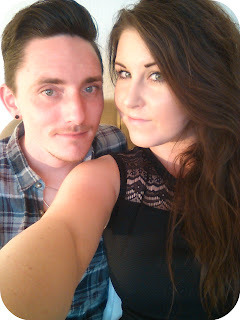 Dan is always working but This weekend I was lucky enough to be treated bu him to a weekend away to the seaside town of Newquay for my cousins birthday! There was Lovely weather and beautiful surroundings to enjoy - and of course lots of shopping, cream teas and IceCream! 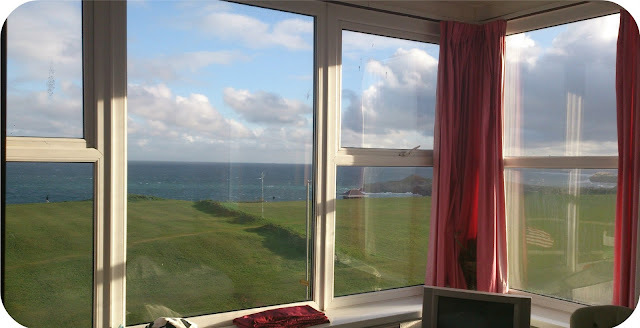 This was the view from Our Hotel Room - the windows were huge and we were right opposite the beach! 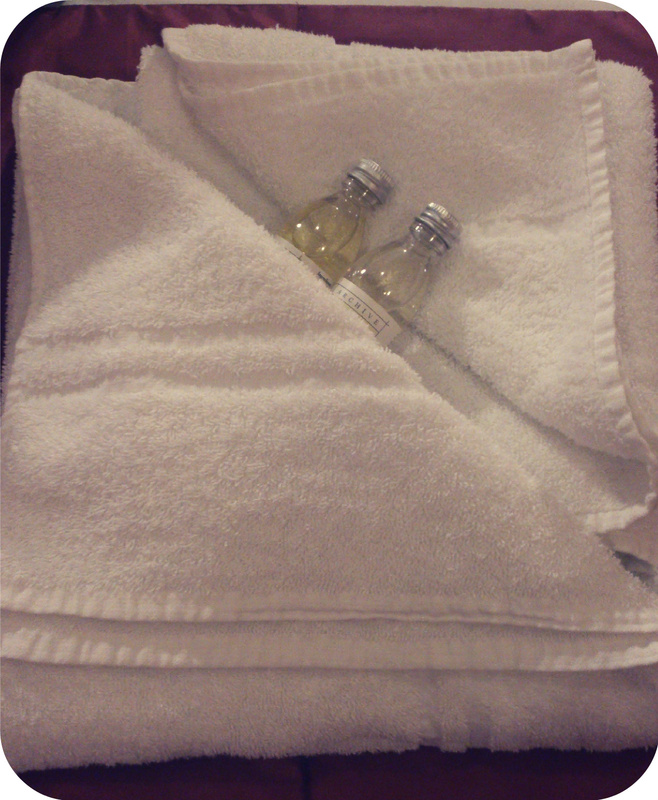 We stayed at 'hotel Edgcumbe', there was a swimming pool, sauna, hot tub and a cute games room to enjoy, and we were greeted in our rooms with some lovely little amenities! 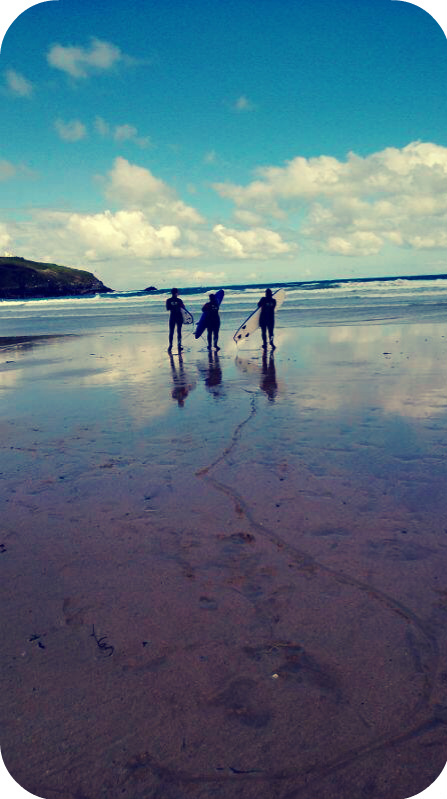 On Saturday we tried our hand at surfing on Tolcarne Beach (look at that blue sky! 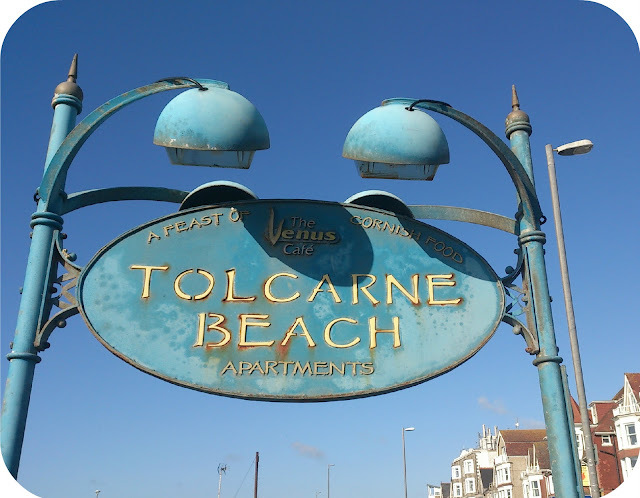 ), it was quite windy so this was perfect for the big waves we needed! The first thing we had to do was squeeze into our wetsuits, we hired these from a surf shop called 'board walk', we each paid £19.50 which paid for the days hire of a surfboard, wet suit and wet shoes, it was such a challenge to get them on but I appreciated it so much when we were in the cold ocean! This is a picture of us as we were just getting into the ocean! The tide was really far out but the walk down was lovely as the beach was beautiful and sandy! Once we got to the ocean the waves were about 4ft high! 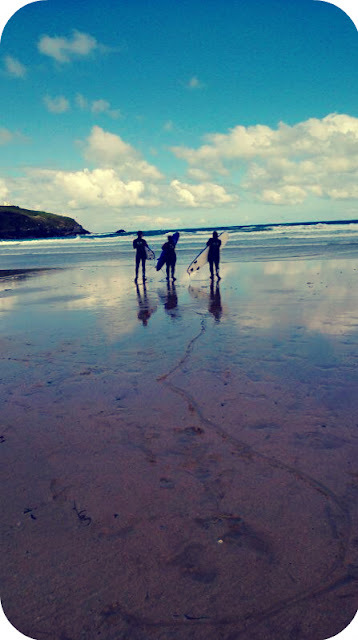 Surfing was so tricky and my arms still ache now but it was so much fun and I cant wait to go again! 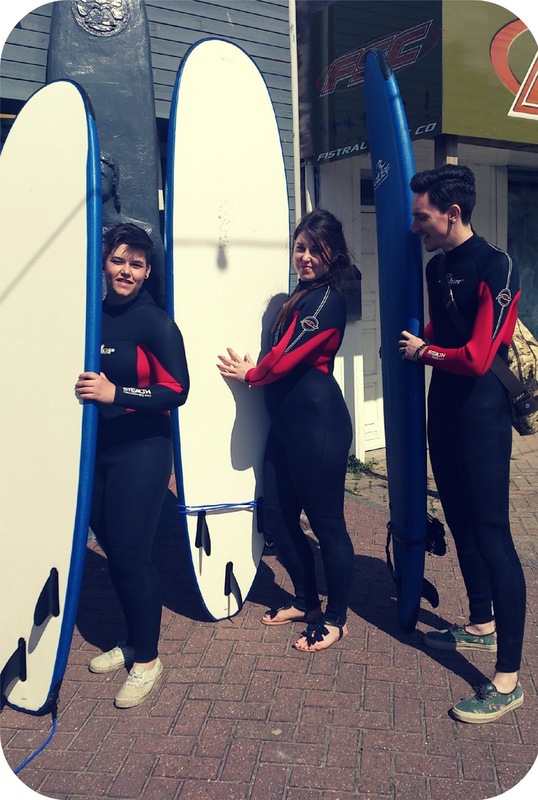 I am even looking for my own wetsuit and board so if you can recommend a place to get one, please let me know! 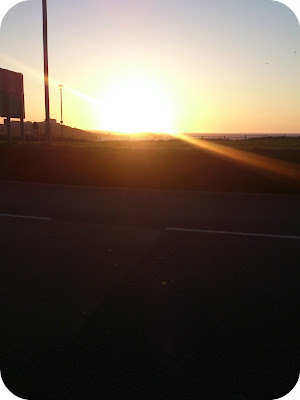 That evening we went for dinner in the little town and watched the sun set over the beach, it was gorgeous! There was still a little bit of wind but nothing could spoil the beautiful view! The next day we went shopping in the little town and there was so many amazing niche shops, but my favorite had to be the traditional sweet shop! 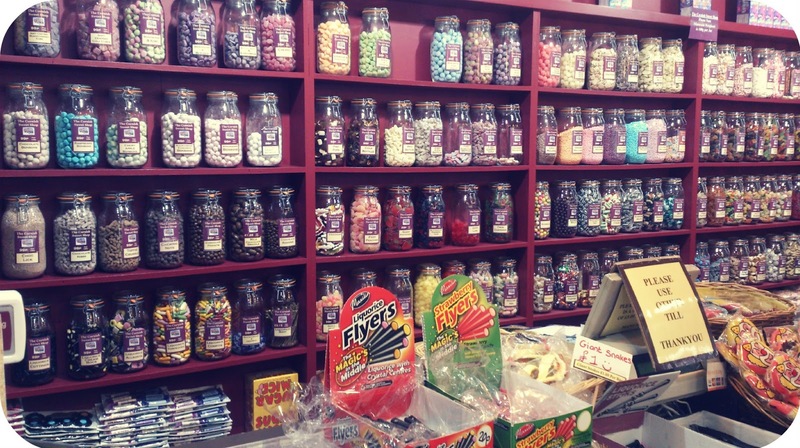 There were shelves and shelves of any sweet you could think of all in vintage style jars - how cute! 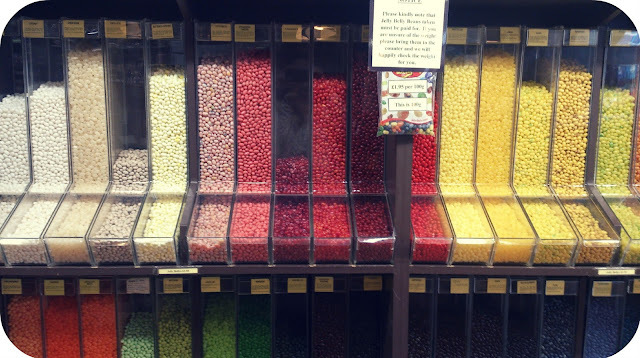 There were also hundreds of jelly beans - yummy! The shop sold lots of kooky gifts like this sandwich made from marshmallows! I loved the shop and could have spent all day inside just looking around! 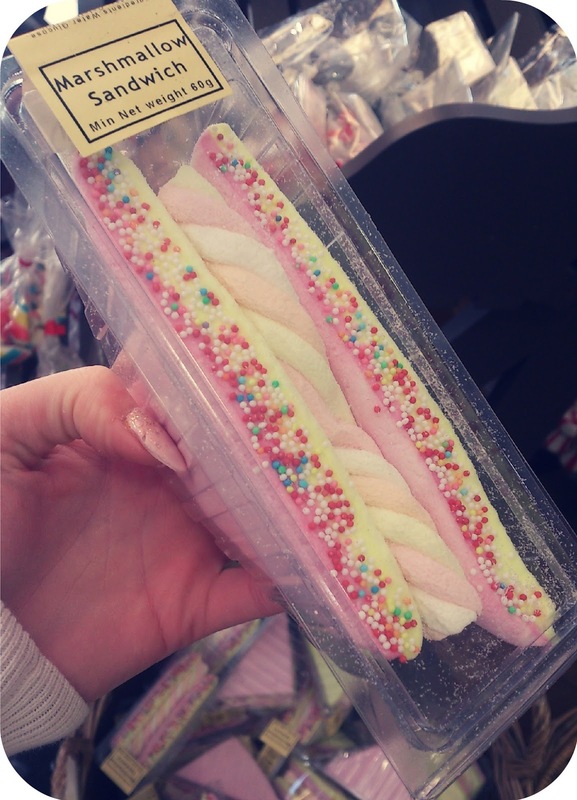 I bought a chocolate fish for my dad and a giant mint humbug for my mum in the sweet shop as they were so cool and very different! We also visited a shop called 'Living + Giving' which I absolutely fell in love with! 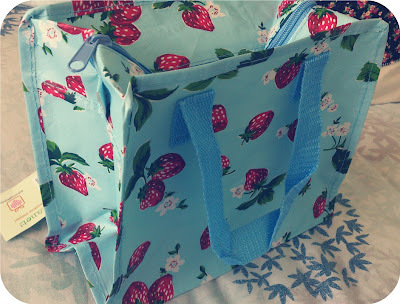 The shop sold all vintage style items like lemonade crates, sandwich boxes, shoppers and vintage tins! 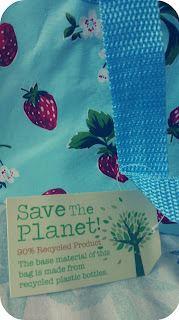 I bought this cute recycled bag (also sold on dotcomgiftshop - you can shop them here) for just £2! It is made with 90% recycled plastic bottles and is just adorable! It features a little zip and lovely handles, and , my favorite part, it features a vintage blue and strawberry pattern! 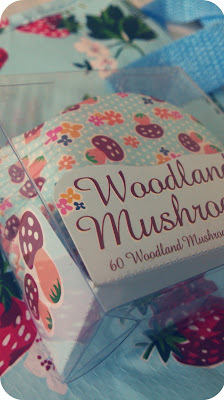 I also got these cute woodland mushroom cupcake cases in 'Living+Giving', they were just £1.50 for 60 cases and are so sweet! I have never seen any cases featuring this pattern so I had to have them! The shop also sold lots of other versions of these cases, even one with a dinosaur pattern! I spotted these cute little mini pegs while shopping in a trinket store, they were only 15p each so I got a few! 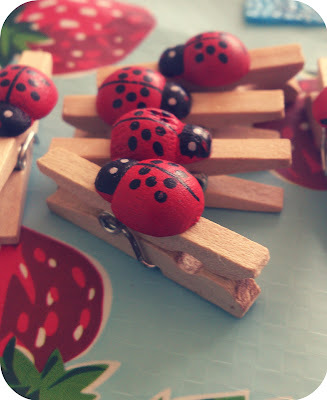 I love ladybugs and figured these would be lovely for organising paper work or saving pages in my wedding journal! I also bought these lovely key rings for me and Dan! 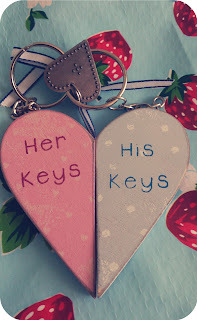 Together they form a heart shape and I thought they would be perfect for when we buy our car next week! 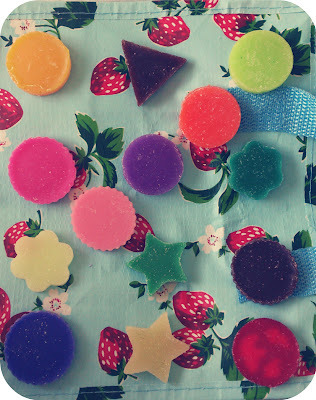 They are so sweet and are handmade! 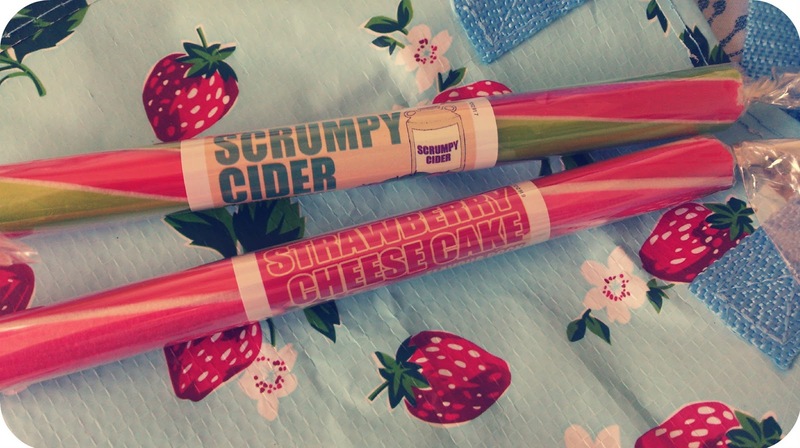 I think it was £2.99 for both and I haven't seen one like them before so I really wanted them! While in Newquay I bought a few little gifts, including these! Seaside towns are notorious for rock, so when I spotted these variations on the original I thought they would be perfect for my sister and her boyfriend and snapped them up! 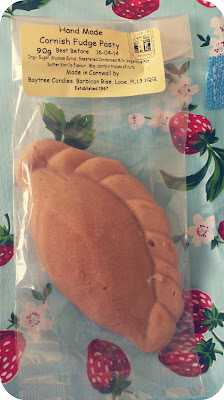 I also picked up this cute little Cornish pasty made from fudge, I thought it was so cute and really funny idea! 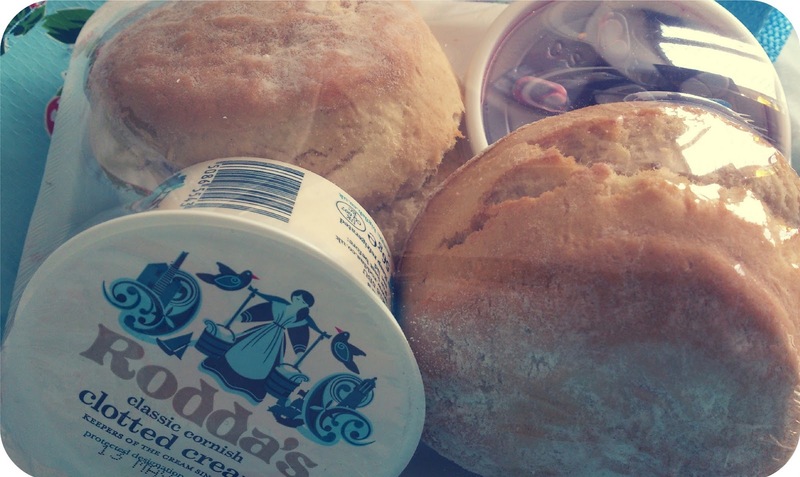 And of course, no trip to Cornwall would be complete without a good scone with local jams and clotted cream! I bought this little travel pack so that I had something to look forward to when I got home, and wouldn't be feeling too down with the holiday blues! They were so delicious the scones were light and fluffy, the jam was sweet and gooey and the clotted cream was soft and silky - perfect!!! 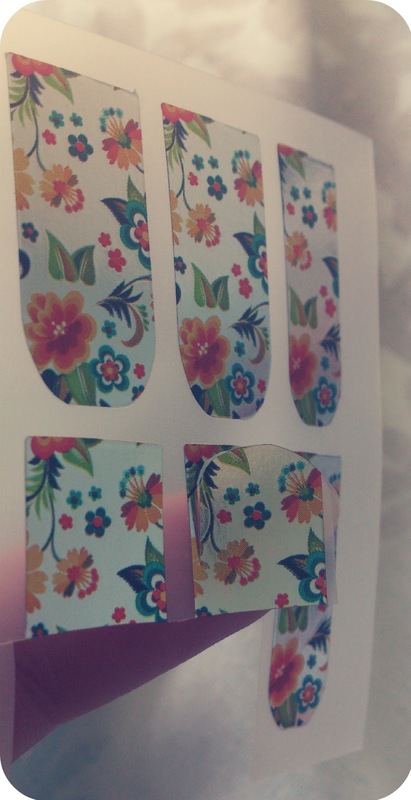 Made Famous by big brand 'Minx', most of us have heard of Nail Foils before and lots of us have tried them too, but at around £25 a pop for the salon treatment, they are not the most budget effective accessory! They come in a range of colours and patterns and are a gorgeous statement piece when worn on your fingers or toes, they take zero drying time and can last anywhere up to 6 weeks (or more!) 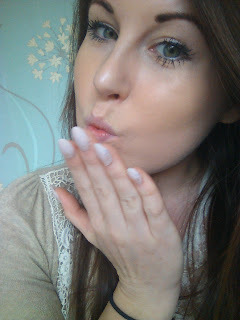 if looked after correctly, and I am going to show you how you can achieve perfectly foiled nails at home for under £5!! Unfortunately, 'Minx' foils can only be purchased by industry professionals, but don't panic (!) many shops (such as 'Claire's Accessories' and 'NewLook') sell much cheaper variations of foils! I always buy my foils from Ebay (here), though, as they are EVEN cheaper! 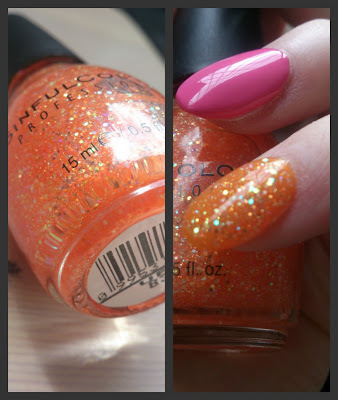 If you are an Ebay user, just type 'Nail foils' into the search bar, and, depending who you buy them from, you can pick a set up for anywhere from £2 - £4, with many sellers also offering a 'buy 2 get 1 free' offer!! I am using these cute floral foils and I will be applying them to my toenails since the sun has decided to make an appearance today!! 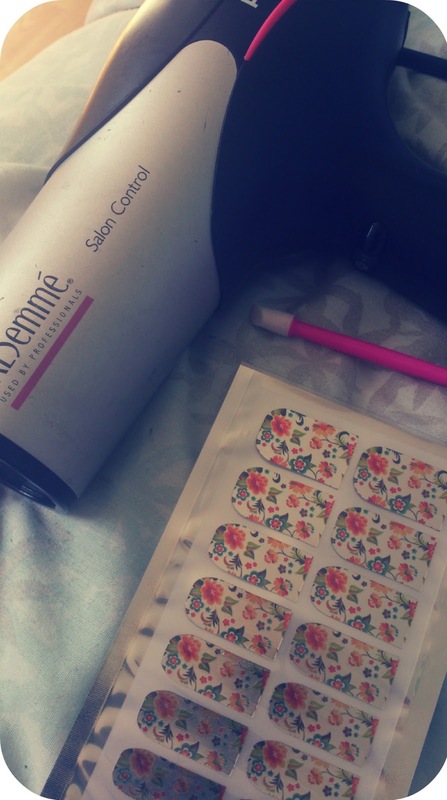 All you will need for your very own at-home foils is a hairdryer, some nail scissors, an orange stick (cuticle pusher or a toothpick), a nail file and a set of foils! 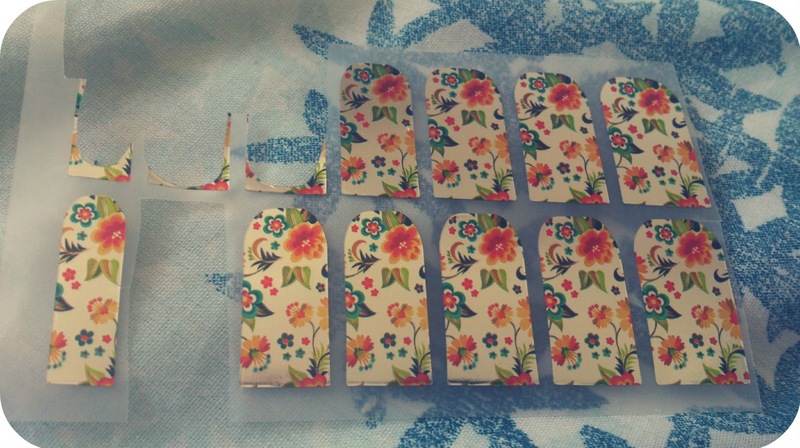 The first step is to remove ALL traces of nail polish with a good strong polish remover, and file them into a nice shape, this will help your foils stick to your nails with more strength and, therefore, last much longer! 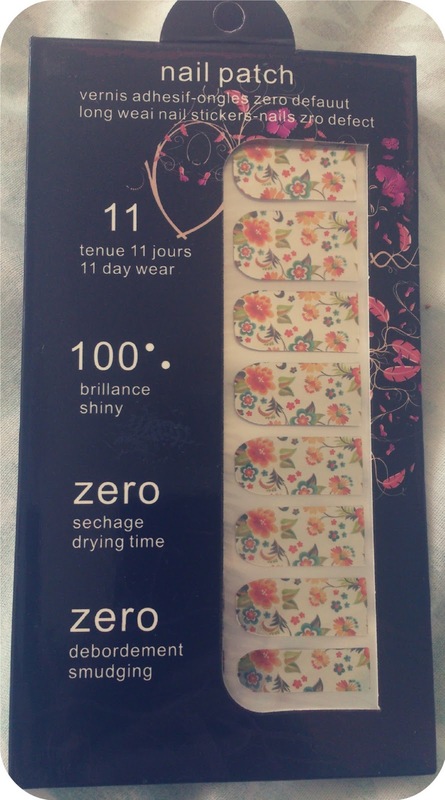 Now measure a foil to the nail you are covering first (each set comes with a range of sizes so just choose the one which matches you nail size best!) then gently peel it off of the backing and place the straight edge of the foil on your orange stick (or whatever sort of stick you are using!). The curved edge will need to be free as this is what will go as the base of your nail. Next, turn on your hairdryer midway (never full heat) and blow on the back of your foil for 3-5 seconds, it will now be flexible and floppy! Holding the end of you stick for balance, apply the curved edge to base of your nail and then smooth the rest upward to the free edge of your nail using your thumbs. There will be some over hang (particularly on the big toe) so just tuck it under a little and let it the rest hang for now. Some of your nails are very short (particularly on your toes) so you wont need to use a whole foil! Just size it up and cut it in half and (if you are using the second half which wont have a curved end) just cut a semi circle on the top to give it the curved edge,like in the second image above. 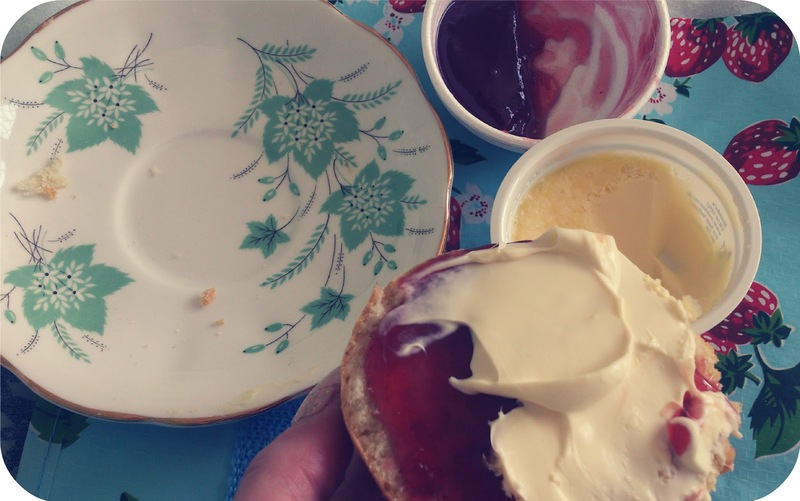 No unnecessary wastage! Once you have done all of your nails they will look like this, don't worry about the overhang, we are going to deal with that next! 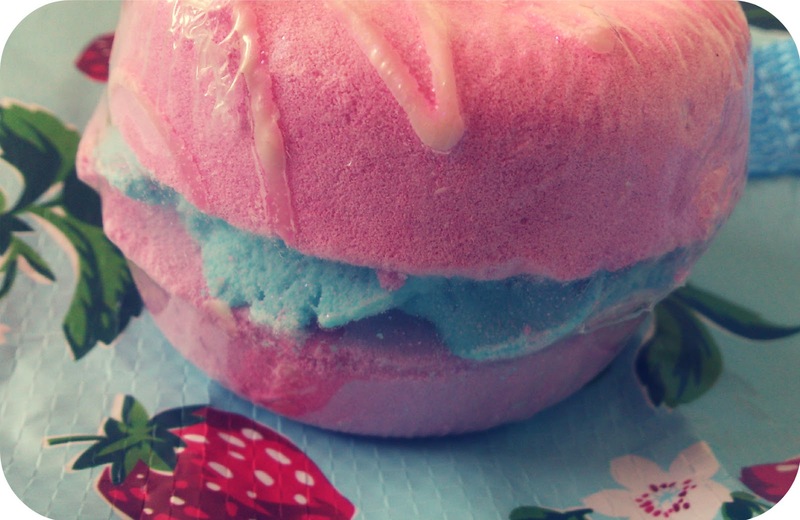 If you have any bubbles, try and smooth them out as best as you can (this will get easier with practice) because then no moisture can get trapped under them and they will last much longer! Now you will need to take your Nail File (I am using a coarse N.S.I file) and gently file across the top of your nail, this will cut the overhang off and you will be left with a nice, clean edge. 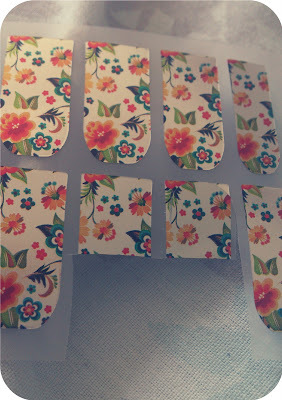 Please, do this step gently as you don't want to rub the pattern of your new foils off with the nail file! Once you have done this to all of your nails - that's it! You will have lovely sparkly, neat nails! 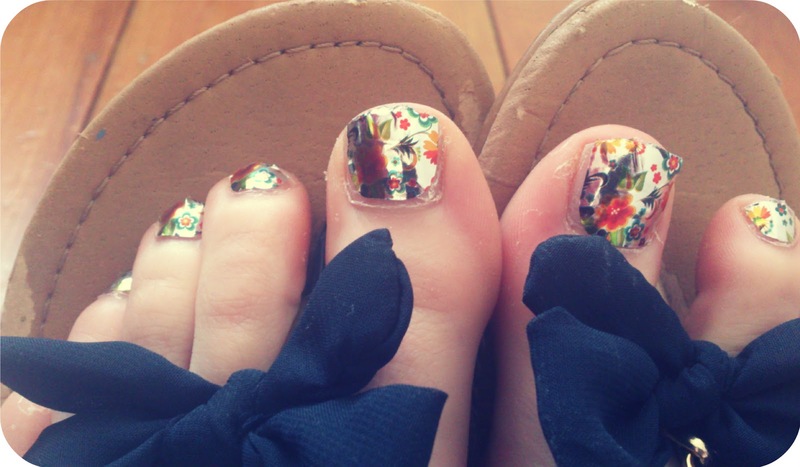 Foils can last anywhere up to 6 weeks on your toes, depending on how well they are applied and what shoes you wear, and anywhere up to 10 days on your fingers, so make the most of them and enjoy the compliments! 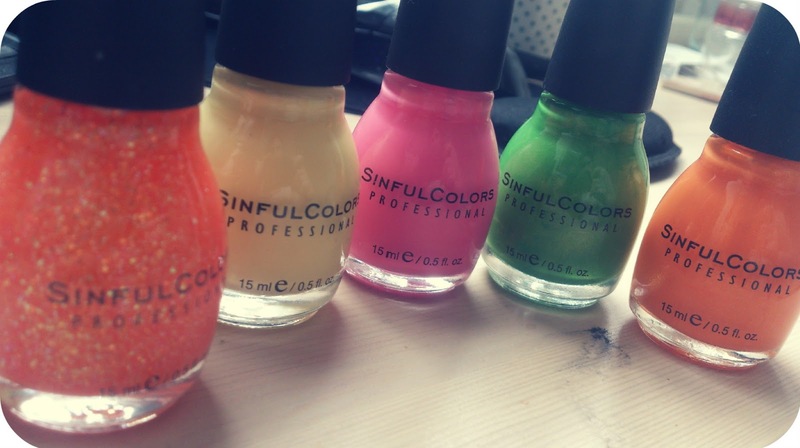 They are particularly nice on holiday as they will shimmer in the sun and wont chip in pool water! I just want to quickly mention that because I cut some of my foils in half, I hardly had any wastage and this is what I have left after doing both my feet! There is easily enough here for another set, so take care and remember it gets easier and less fiddly with practice & most of all, enjoy!! Show me Some of Your Foiled Nails! 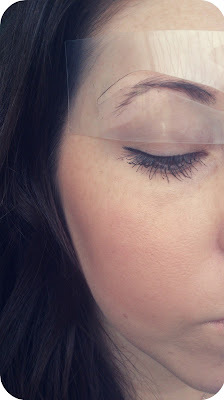 Eyebrows are fast becoming one of the most popular trends in the beauty world, with treatments like 'Eyebrow tattooing' and even 'HD brows', but today I am going to show you the Basics of Brow enhancements that you needen't take a pricey trip to the salon for. All these products can be used at home with little to no skill or experience to give you a more shapely, defined brow which will open up your eyes and give the appearance of larger eye sockets! 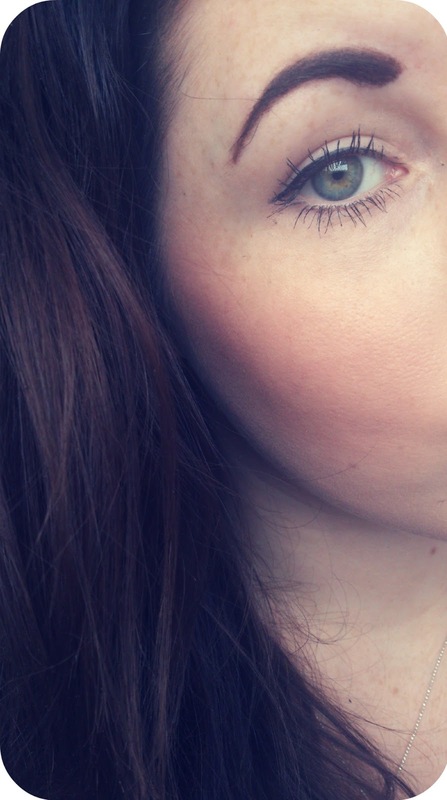 When not enhanced with make up, my natural eyebrows are very thin and skinny, which isn't ideal for me personally, so I like to define them with a few quick and easy steps in my everyday make up routine. Today, however, I am going to explore a few different methods of creating the 'perfect' eyebrow, so that there is something for everyone! 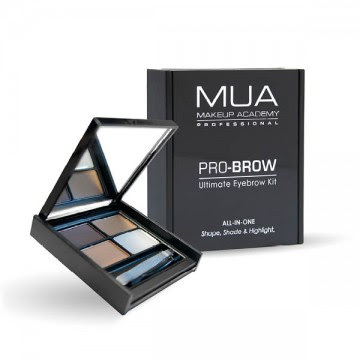 The First method which I am going to be testing today is 'Eyebrow Powder', I have not used these before but I found this lovely 'Brow Kit' From 'MUA' (you can view their online store here) for just £3.50!! The kit contains 3 shades for all different brow hair colours and a fixing Gel so your brows stay perfect all day! There is also a small angled brush included so that you can easily get the shape you desire & my favourite part of the kit was that it also included a pair of tiny tweezers - how cute! 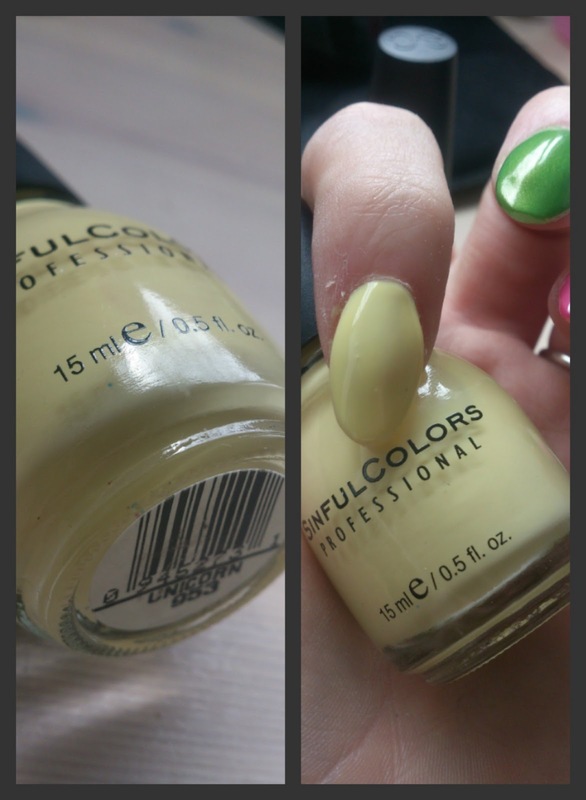 I didn't use the fixing Gel as I was confident that the powder would stay in place without it, and it did! I loved the feel of the powder on my brow as it did not feel heavy and, unlike some pencils, it did not make the natural hairs of my brow stick down onto my skin, which can give a very shiny and un-natural appearance. I would recommend this kit to everyone - for £3.50 it is worth a try! I ended up giving mine to my mum as she spotted me using it and loved the lighter colours (she has blonde hair). She said it is very hard to find eyebrow products in these shades, so she jumped at the chance of using it herself! 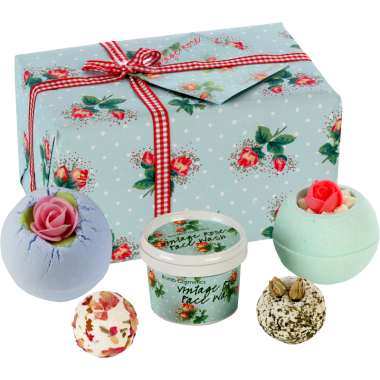 She also pointed out that this kit would be perfect on holiday or in warmer weather, as, unlike a pencil, it wont melt in the heat and it wont smudge on your skin because of heat! 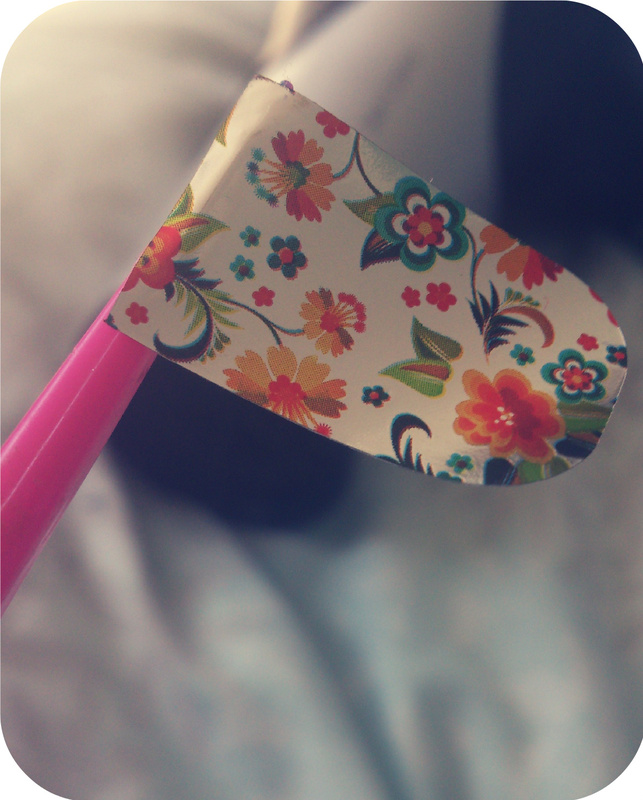 The Next method I tested was 'Eyebrow Stencils'. 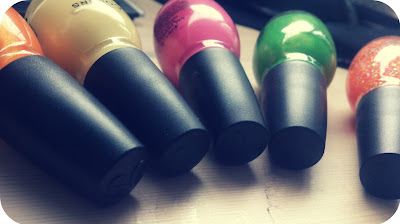 I picked these up on the 'E.L.F' Website (you can visit it here). These are £1.50 for a set of 4 (soft arch, structured arch, curved arch & full arch), so there is a shape which is good for everyone's liking! These can be used with your preferred style of brow makeup (powder,pencil - anything!). The stencils come in a handy little packet which can easily be popped in your handbag for touch-ups throughout the day! Each stencil is made of plastic, so they are very durable and flexible and best of all - they can be washed and used again! As you can see, compared to my natural brow, I now have a full, defined shape with a lovely arch and neat tail! 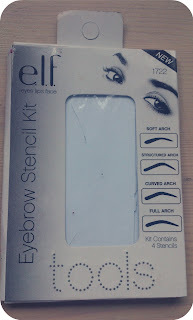 Overall, I like the stencils as they are a good guide for those who aren't used to drawing in brows or even those who want to try out different brow shapes! I also like the fact that they are a very unique product, I haven't really seen anything like them before! For the price of £1.50 i think everyone should at least give them a try & I really like the fact that they can be coupled with your usual method of brow-drawing, so there is no need to feel too out of your comfort zone! Still not convinced? 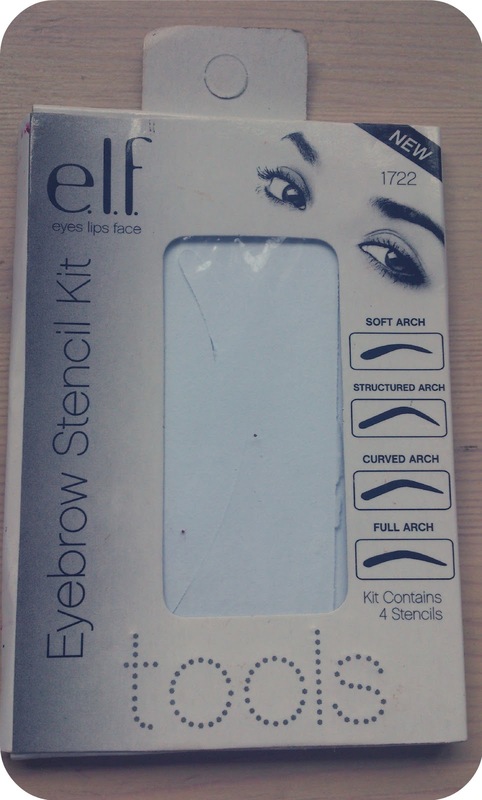 How about eyebrow Pencils?! Eye brow pencils are the most widely used form of brow enhancement for women and they are so easily available that there is no excuse not to try them out! As I mentioned before, I have very dark eyebrows, and this has given me some trouble finding a suitable shade pencil in the past! 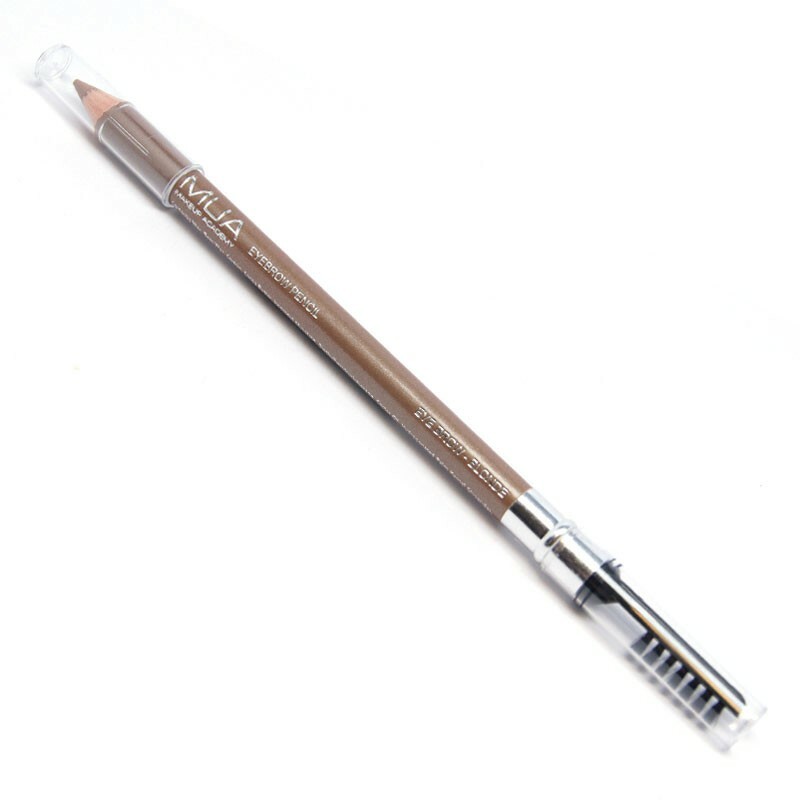 I used to Use Boots no.7 brand, but the one I used got discontinued :( So, after much testing and disappointing from many a make up brand, I decided to try out a pencil from old reliable - 'MUA' and I have never looked back! I now use their eyebrow pencil in shade 'brunette' as part of my daily makeup routine, it is just £1 and also comes in shade 'Blonde' for the fairer haired users! 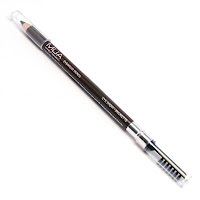 The pencil is double ended with a small brow tamer, which comes in so handy! 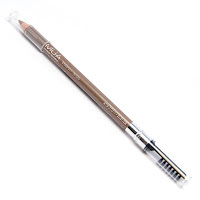 I really like the creamy consistency of the MUA brow pencil as it glides on easily, and blends very well (so if you don't like razor sharp lined brows, you can easily smudge the edges to your liking!) and it remains on your skin all day long!! One important thing to note about brow pencils is that, if you are planning on using them, make sure you have a sharpener - your pencil must not be blunt or you will have no hope of getting a good shaped brow! I would recommend brow pencils to any lady - whether a novice, or just wanting to try something new. 'MUA' is definitely the best brow pencil I have tried (and at £1 it is such a bargain! 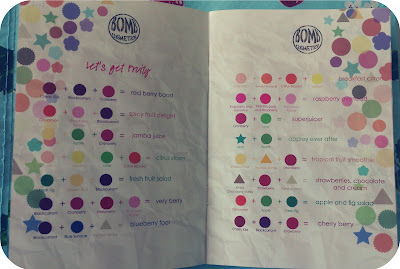 ), but all brands have their own pencils so if you have a particular make up brand you are comfortable and familiar with, then go with that! If you are using a pencil or powder and are drawing your eyebrows on blind (without a stencil), there are 3 simple steps you should know to help you achieve natural brows that are perfectly in proportion to your face. 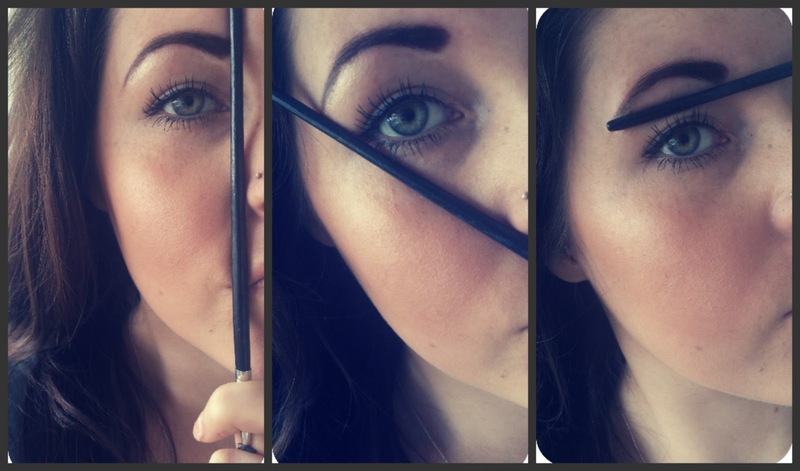 To do this, you can use a pencil, the end of a make up brush - anything that is thin, long and easy to grasp!
. The first point to know is where your brow should naturally start. 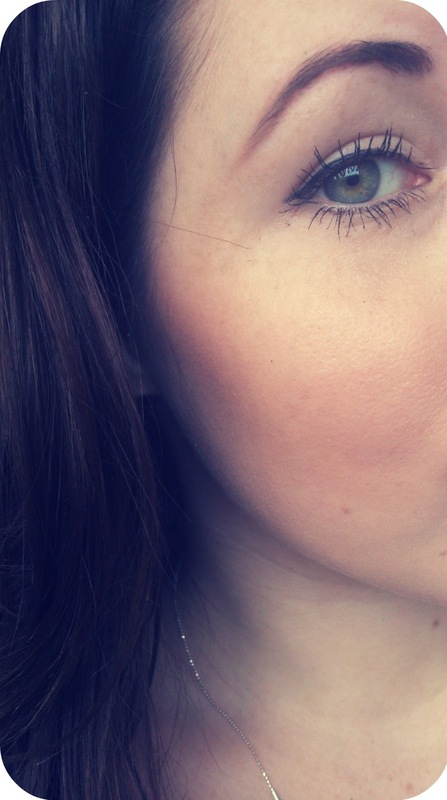 The best way to measure this is by using your tool and measuring down the side of your nose to your brow area (ref. image 1), where the tool touches on your brow area is where your brow should start!
. 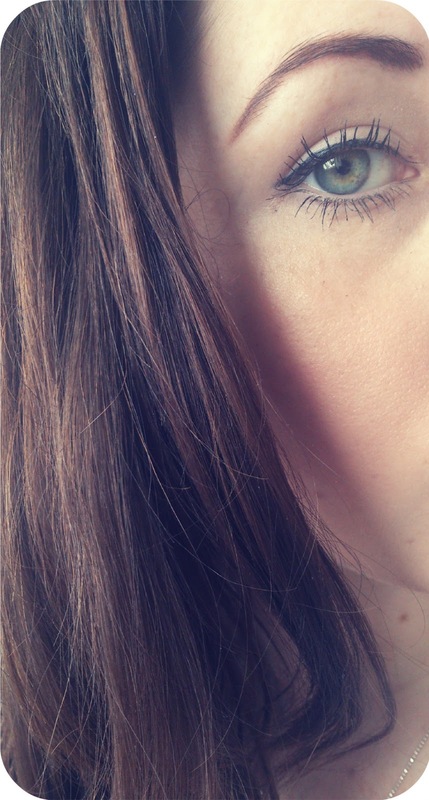 The second point to note, is where your brow should end (Ref. Image 2), you can do this by placing your tool at the corner of the bottom of your nose and measuring out diagonally to your brow area, where they meet is where your brow should end -don't forget that your brow naturally gets a little thinner at the ends so try to draw this in!
. And a final point to know is the balance of your brow, even though your brow has an arch, it should still end at about the same height that it started. The best way of measuring this (once you've done step 1 and 2) is by placing your tool directly beneath the start and end of your brow, both points should be just above the tool! If the tail end of your brow extends a little too far, don't worry, you can always blend it out! It is okay for the tail end to extend a little further than the tool, but don't let it extend too far, or it can look un-even, un-natural and can also make the whole of your eye area appear smaller! I just want to give a quick mention about the finishing touches you can give your brows to really define them and make them beautiful! Highlighter is key for this! 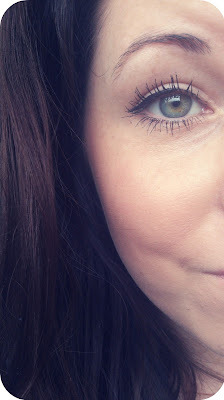 Using a highlighter beneath your brow can give it so much depth and definition and can give a much more wide-eye look. 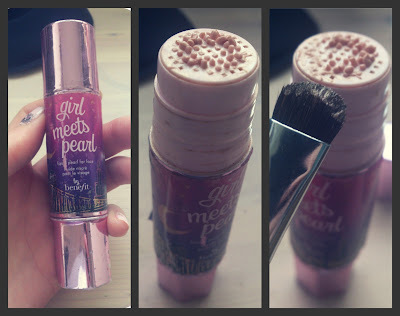 There are many highlighters available (in varying forms, some even as simple as a pearl white eyeshadow) but my go-to highlighter is always 'Girl meets Pearl' by make up brand 'Benefit' (you can visit their online store here). 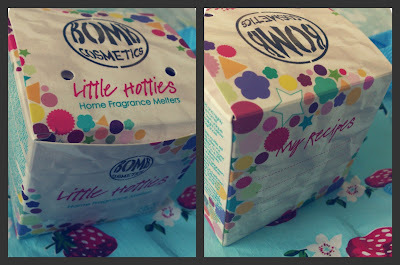 It is a little pricey at £24.50 a bottle but trust me, it is worth every penny! Benefit describes this product as 'liquid pearl for face' and believe me when I say it is this and so much more! 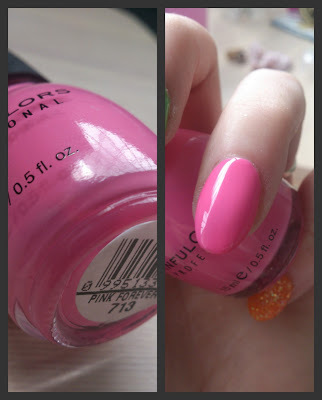 As you can see, my bottle of this is a little bit worn (or loved, as I prefer to say! ), but that just proves that once you've used it, you just wont be able to stop! 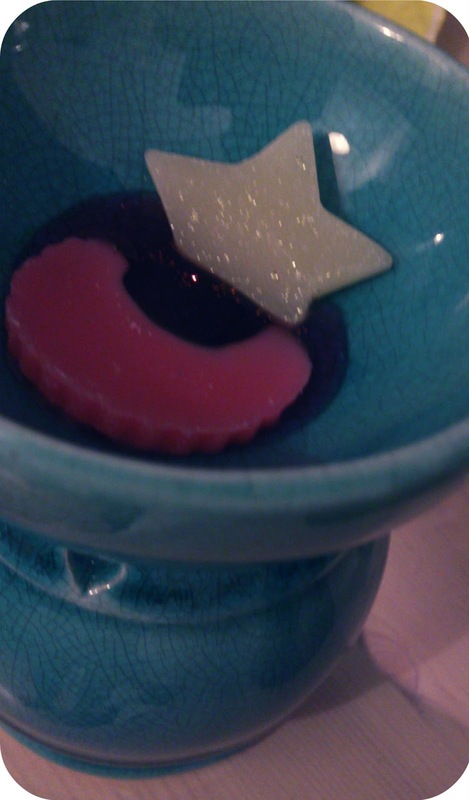 The product is a liquid form. 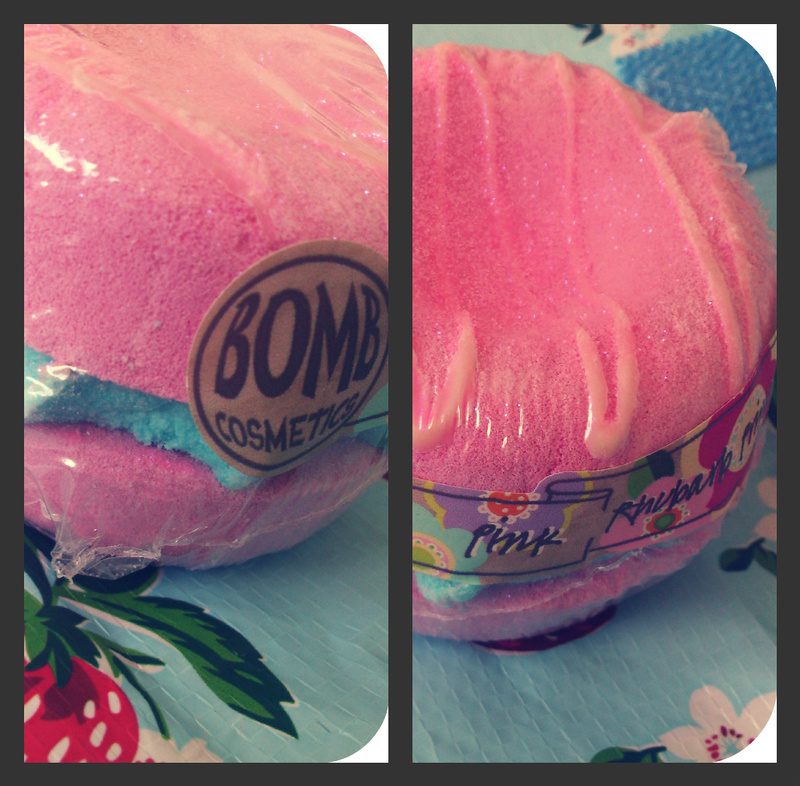 It has a wonderful pearlescent colour, which catches all the lovely sun light and gives your face a beautiful glow! 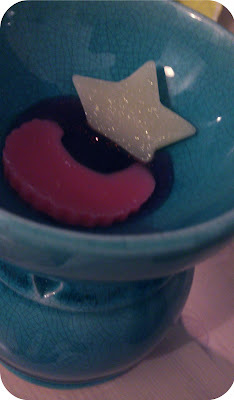 You simply twist the bottom of the bottle to release the product evenly (Image 2). As you can see it really catches the light and makes a difference to the appearance of the whole eye! I hope this has helped you ladies to feel more relaxed and confident about at home brow enhancement - it's not as scary as it seems! I am not saying that this is the right way (or only way) to do your eyebrows, it is just my way, and I hope it has cleared up any worries you may have had, or, at the very least, I hope you have seen a product that you didn't know about and may want to try in the future!